NAIROBI, Kenya (RNS) — In the days after the Sept. 11 terrorist attacks, al-Qaida became a household name. But today, other extremist Islamist groups, many in Africa, are vying for headlines. Recently, the group Boko Haram gained international infamy after it abducted more than 250 schoolgirls. Since 2009, Christians in northern Nigeria have borne the brunt of Boko Haram violence, which has included attacks on churches, schools and government installations. Now Libyan Christian leaders fear Boko Haram could spread its influence into their country as a result of a renegade former general’s campaign to purge the chaotic country of Islamist militants. But Africa is home to several other extremist groups. In the Central African Republic on Wednesday (May 28), a group known as the Seleka militia attacked a Catholic church in the capital, Bangui, where Christians were seeking refuge, killing at least 30 people. The group emerged in September 2012, and the following year it rampaged through the country, attacking churches and missions, before overthrowing the government in March 2013. The group has since lost ground and is now involved in a cycle of revenge attacks against the pro-Christian anti-Balaka rebel group. Somalia’s al-Shabaab has claimed attacks on churches, public places and public transportation in East Africa. The group, which got its start in 2006, began escalating the number of attacks in Kenya in 2011 when that country sent its troop to Somalia to fight the Islamists. Last week, al-Shabaab said it was shifting its war to Kenya. 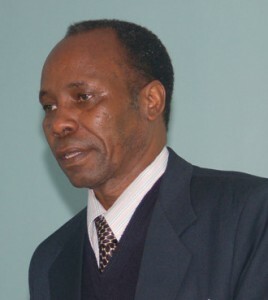 Extremist groups are not unique to Africa, said Jesse Mugambi, a professor in the University of Nairobi’s department of philosophy and religious studies. Al-Qaida-related groups are on the rise in Syria and Yemen, among other spots.